NJ Discover was established in response to a perceived need to bring increased awareness to our local businesses by producing video shows which air on local cable stations and the web. NJ Discover offers a variety of productions to showcase these local businesses such as the traditional 30-second spot commercials, walk-thru commercials that are hosted by NJ Discover in an infomercial style format. NJ Discover also produced television shows such as the Red Bank Wedding Walk that combined traditional advertising commercials with substantive programming to keep the viewer entertained while being introduced to various businesses. NJ Discover has produced pilots for reality television and is currently working on a cable television variety show pilot for a local radio celebrity. In addition, NJ Discover is currently producing video and media services to the a local farming business in connection with a state grant. NJ Discover is a full service production company that can create professional video projects for TV or your website. What makes NJ Discover different from other production companies is that not only do we produce High Def video but we can promote your project to thousands of viewers on our popular cable TV show(1.5 million subscribers), a highly trafficked website, our Facebook production page (26,000 likes) and our YouTube channel. We can produce a 30 sec. commercial and purchase airtime on all the major networks like CNN, TLC, History, Discovery, FOX, CNBC, MSG, ESPN, etc. COUNT THE WAYS NJ DISCOVER CAN WORK FOR YOU! First: NJ Discover is an award winning Production Company (TV Shows, Commercials, Up-Close segments, Sports Highlight Reel and Music Videos). Second: TV Show reaches over 1.5 million Comcast TV subscribers. Fifth: Your video project is a tool to help promote yourself or business to fan base or customers so that social media and website work for you. 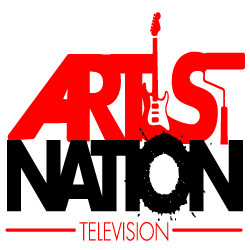 Sixth: Our new Artist Nation TV helps promote the Arts. As of January 22, 2014, NJ Discover has over 1.5 million Comcast TV subscribers, 26,000 Facebook followers, 29,000 Twitter followers and over 10,000 Instagram followers. Remember print ads have a short life-span. Video endures by reusing it on your own website and social media channels..
YouTube is the second largest search engine online. With that magnitude, logically, SEO experts take YouTube optimization as seriously as they take content optimization on Google. NJ Discover has several advantages for businesses creating brand awareness. A major advantage is that local search optimization is more effective with YouTube and social media since few businesses promote their brand via TV, YouTube and social media. Start the New Year off with the resolution to call NJ Discover Production 732-303-8844 or visit our website NJDiscover.com , info@njdiscover.com and discover what we can affordable do for your business. NJ Discover staffers have over 25 years experience in TV production. NJ Discover staffers have produced and filmed for NBC, ABC, CBS, CNN, History Channel, PBS,Comcast and worked on major motion pictures. NJ Discover provides high end Television and Internet production and is capable of servicing both large and small productions such as one cameraperson to multiple camerapersons, cranes and steadicam operators. NJ Discover is a recognized production company for the History channel, Discovery Channel, TLC, Bravo, Ion TV, OWN and has a portal to pitch directly to these networks. NJ Discover has a popular magazine-style website that is updated daily and has thousands of daily visitors. NJ Discover is on the cutting edge of social media and has as evidenced by its presence in Facebook, Twitter and is the only social media company in New Jersey that can guarantee a two minute promotional video will be viewed on the web from start to finish for only .30 cents a view (less then a stamp). NJ Discover has built this cable television series for the past few years to help stimulate local businesses. We want you to receive the greatest benefit of advertising in your local community and beyond. Not only do we keep our costs affordable, you receive a variety of multiple services included with your advertising campaign. You will receive worldwide Internet exposure of your advertisement from our website. Customers can print coupons you supply to us right off our Internet site directing their business to your establishment while they are viewing web streaming video of your company’s advertisement. They can even visit your company website directly by clicking on the link we’ve embedded on your merchant page. NJ Discover will provide you with the embedded code so you can place your web commercial on you companies website. We have even found a way to build your commercial far below market prices so you can now have your business advertised on cable television and on the Internet for one low weekly price. NJ Discover also uses social media like Facebook, Twiiter and You Tube. NJ Discover is excited to announce that we have partnered with the leading Social Media Ad Delivery and Management Company that specializes in getting your video seen by your targeted audience. We now have the ability to promote your video to a specific demographic locally and nationally. NJ Discover will produce your video and air it on NJ Discover’s local TV Show. NJ Discover’s team will manage your Social Media paid advertising campaign and promote your video throughout the internet.